It was in 2007, when media reports appeared for the first time, about possible Chinese plans, to build 5 dams on the river Brahmaputra in Tibet. As per Chinese practice, the Government of China immediately issued a statement and denied any such intention. Avid China watchers had then warned the Government of India that if Chinese Government is issuing prompt denials, it must be seriously considering the plan. Even during 2010, when this matter come up at the time of the visit of Chinese President Hu Jintao to India, Chinese authorities were quick in rejecting the news as a baseless rumour to quell Indian public fears and sentiments. China’s Minister for Water Resources, Wang Shucheng, said the proposal was “unnecessary, unfeasible and unscientific, and had no government backing.” The China Daily reported, Wang Shucheng even saying that “There is no need for such dramatic and unscientific projects”. Later, Chinese Foreign Ministry spokesman Liu Jianchao said (according to the China Daily) that “The Chinese government has no plans to build a dam on the Yarlung Zangbo River”. In spite of these denials, details started leaking out in the Chinese press about construction of first such dam on Brahmaputra. 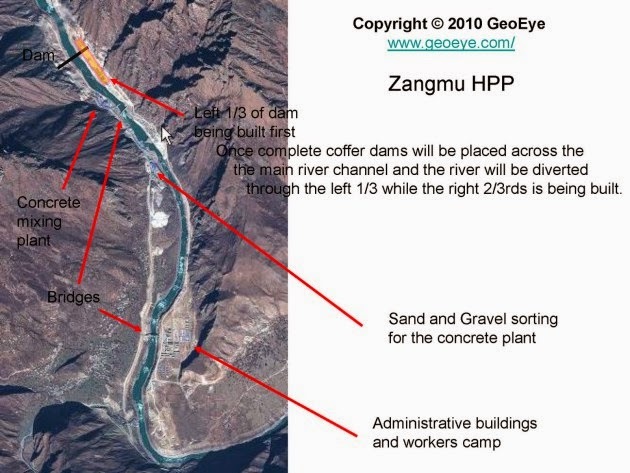 With high quality satellite imagery available to Internet users, it became impossible even for a secretive Chinese government to hide such a project from internet users and when images of the first dam construction were published on the internet, Chinese government had to accept this fact. The first dam on the Brahmaputra river is coming up at Zangmu (Tibetan name Dzam) having 92.522996 and 29.141999 as longitude and latitude. One of China’s biggest engineering and construction companies, China Gezhouba (Group) Corp, was awarded a contract worth 1.14 billion yuan ($167 million) for a hydropower plant here. After two year suspension period, China gave go-ahead for three new hydropower dams on the Brahmputra in 2013. It also clarified to India that all these dams were -run of the river projects- meaning thereby that the projects will not affect downstream water flows at all. However the main concern for India- all these years- has been total lack of transparency from Chinese side on this subject. Another concern from India's point of view was non availability of any hydrological data from upper reaches of Brahmaputra. 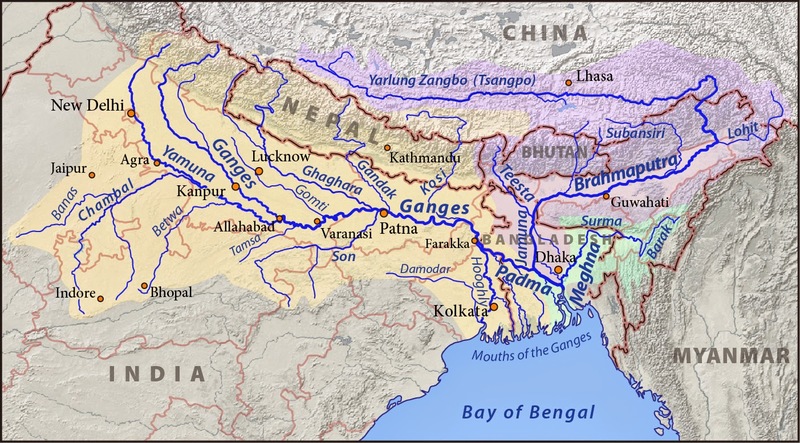 In 2013, China and India signed an agreement to cooperate on trans-boundary rivers but no details were worked out. In the past, Chinese have been always suspicious and sensitive about allowing access to Tibet, and no Indian hydrological experts have ever been allowed to formally visit the region to monitor the river’s flows. This added to the mystery about Brahmaputra water flows. It seems that a change is on the way. A new agreement was signed in Beijing on 29th June 2014, during the visit of India's Vice-President Hamid Ansari to China. According to this agreement, China will provide data on water flows in Brahmaputra, from May 15 to October 15 every year on a daily basis, adding 15 days to an earlier agreement. The data will be provided by three stations at Nugesha, Yangcun and Nuxia in Tibet, on the main stream of the river. Technical details such as the data transmission method, frequency and cost settlement have been worked out. While China will provide data on water flows, India will make available information on data utilisation in flood forecasting and mitigation. 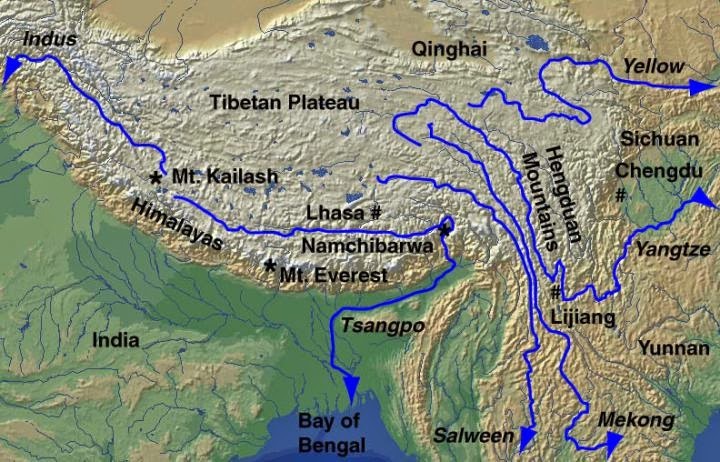 Perhaps even more important is the fact that China has for the first time, formally agreed to allow Indian hydrological experts to conduct study tours in Tibet to monitor the flows on the upper reaches of the Brahmaputra. This step is a great move forward because it directly addresses India’s concerns about the ongoing dam projects on the upper reaches of the river with Beijing formally agreeing to allow such study tours according to the principle of reciprocity. Brahmaputra remains an important river for India with millions of farmers depending upon it. Every year, large areas in Assam state of India are devastated by floods on this mighty river. With the hydrological data available from China on daily basis, it will result in better flood forecasting. 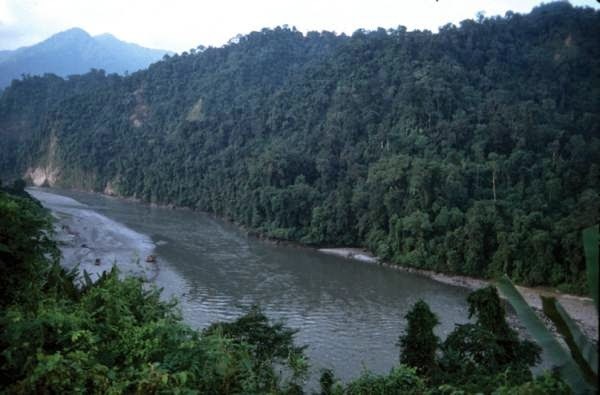 Besides that, direct visits of Indian hydrologists to the dam sites on the upper reaches of this river will definitely help in reducing India's fears and suspicions that Chinese would not be diverting Brahmaputra waters and would make all Chinese efforts to tame the river absolutely transparent. The mighty Brahmaputra is being demystified finally.